There is so much fun to be had with these glasses appliques. 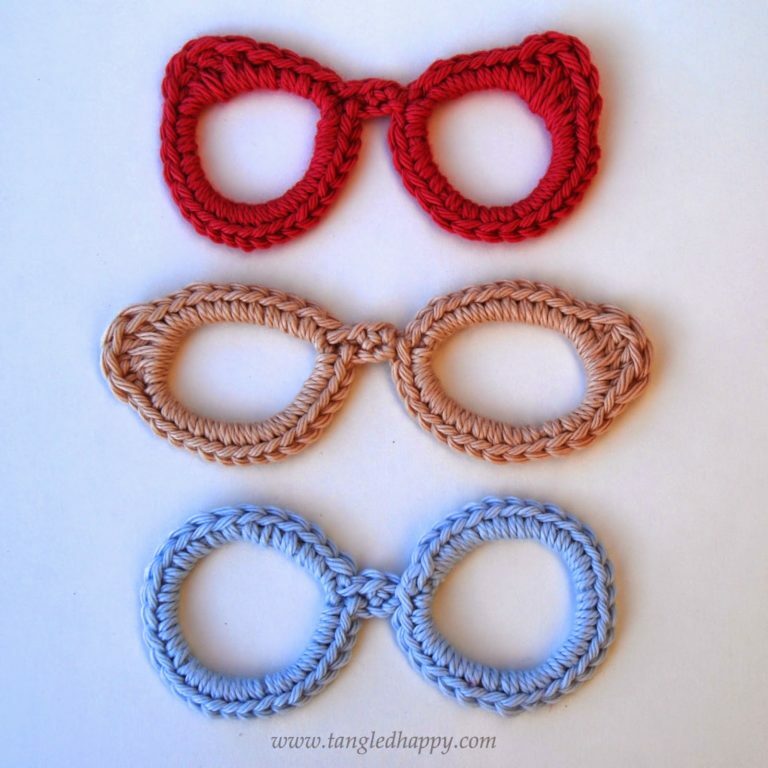 You could wear them as fake glasses or use them as fun appliques on bags or other items. I think they would be perfect on a beach bag. All you need is a bit of worsted weight yarn and a 5.5mm crochet hook and you’re ready for some fun.